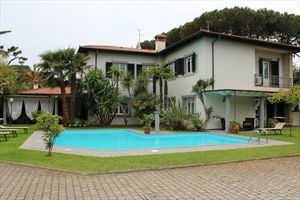 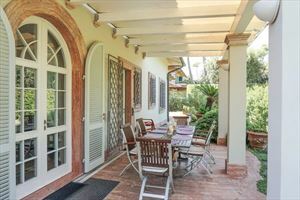 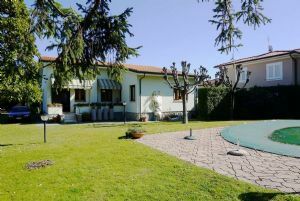 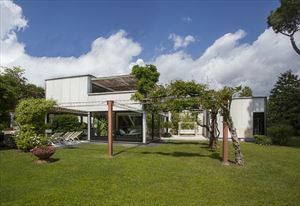 Single villa for rent in Forte dei Marmi with 5 bedrooms and large garden of 1000 meters 800 meters from the beach in a prestigious and quiet residential area. 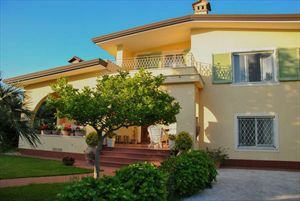 The villa is located in a safe area and particularly green, disponde also a garage and a covered outdoor area with barbecue grills equipped for. 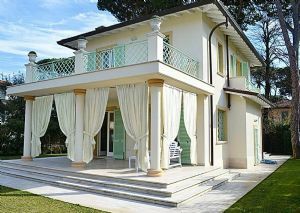 The real estate has completely renovated and furnished with high quality fittings. 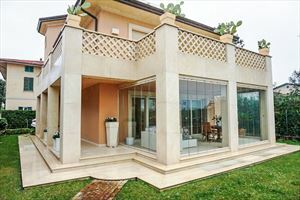 The property is a really important subject.